Today I noticed “Evolution” was trending on social media. When I looked into the reason why, apparently a popular website among the youth was spreading a video it claimed PROVED Evolution was true. I looked into it, and it certainly did NOT. 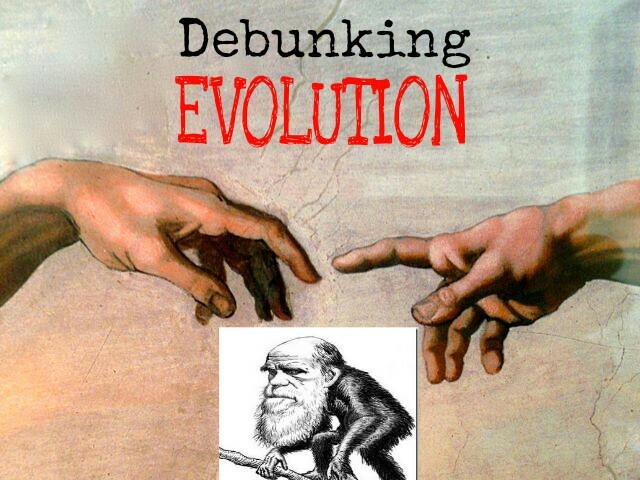 Evolution can never be proven, because it is a lie contrary to the Word of Almighty GOD. The video purported what it called “facts”, but was nothing more than another liberal propaganda attempt to float failed or unproven “theories” as truth to the youth. Sadly, the video was being shared a lot, and everyone sharing seemed to agree with it, with very few arguing against it. That is where I come in, and what inspired me to write this article. First off, Charles Darwin’s theory of Evolution claims that we humans have evolved from MONKEYS. Sadly, it seems like a lot of people are just “fine with that”. I’m definitely NOT. God has said that He created man in HIS OWN IMAGE, and I can assure you that the GOD which I, and billions of people across the globe serve, is NOT A MONKEY! Anyone who believes this garbage does not know or read their Holy Bible. NO Christian or Jew should ever believe the lie of evolution, because by doing so, you are calling God A LIAR. Worse, you’re calling Him a monkey. Think about that. Evolution is nothing more than a bunch of MONKEYBUSINESS. The more fossils that are found, the better sense we have of what lived in the past. Since Darwin’s day, the number of fossils collected has grown tremendously, so we now have an even more accurate picture. The gradual morphing of one type of creature to another that evolution predicts is nowhere to be found. There should be records of millions of transitional creatures. There are NOT. Not one. We cannot observe any partially-evolved fish, frogs, lizards, birds, dogs, or cats among us. Every species of plant and animal is complete and fully-formed. That is fatal to the theory of evolution. The fossil record shows that evolution has never happened. But Darwin and the evolutionists want us to believe that elephants and manatees, primates and tree shrews had COMMON ancestors. They want you to believe that reindeer and whales morphed from COMMON ancestors. This belief takes a lot more FAITH than believing that an All-Powerful God created each creature distinctively and made man in HIS Image. The fact that animal and plant species are found fully formed in the fossil record is evidence for God’s Biblical account of Creation, because it proves that they all came into existence as complete and each uniquely formed. 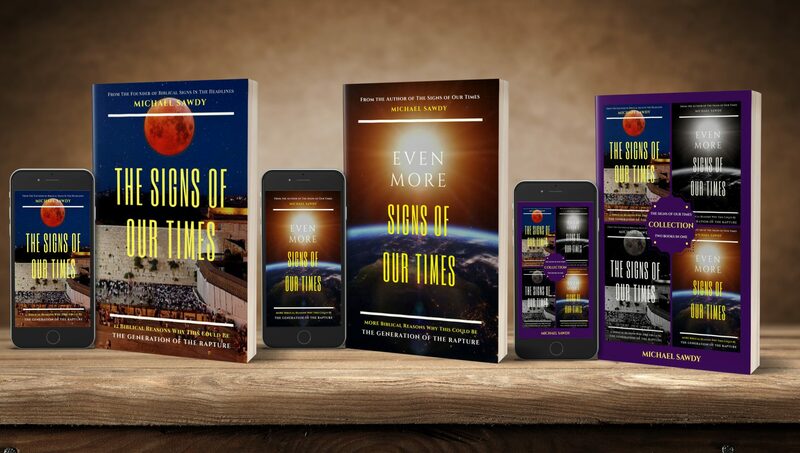 The hypothesis of evolution changes every year; if one theory is said to be fact, but then a year later is shown to be wrong, the evolutionists come up with a new theory which is quickly branded “fact” by the scientific community. They are never criticized for their errors. A FACT is something that NEVER changes. The so-called facts of evolution change all the time. Darwin wants us to believe that we are all descendants of apes. If this were the case, while yes, SOME people may appear to have the looks or intelligence of monkeys, such as Darwin, Richard Dawkins or Stephen Hawking, still a majority of the human race possesses traits no ape has ever had or could have. The human brain, for example, possesses complex qualities that have no parallel in the animal world. Man has far reaching, ever growing mental capabilities, and they begin at birth. Man possesses speech, and his creative communication by means of his vocal system is completely different from those of animals. Man has the unique ability to pay attention to various matters at will, and has an inconceivably wide range of interests and observation. Apes and monkeys never have, and never will. They were created by God altogether different from humans. Only man is fully bipedal, meaning that he can walk upright because of the special structure of the spine. So our hands are not required for locomotion and are available for other purposes, unlike apes. Only man is able to express emotions (joy, peace, sadness, hope, faith, shyness, etc. ), and while some animals may have similar feelings, they cannot possibly be compared to the amount of ever changing human emotions. The fact is, as God’s Word states, He created each and EVERY creature unique and for it’s own purpose. Man is the ONLY creation that God ever made in His OWN Image. Many Court decisions have prohibited the teaching of Creationism in public schools, while at the same time rejecting efforts or proposed curriculum which is opposed to the theory of evolution. This is a disgrace to America, as our very FIRST Schoolbook was the Holy Bible. In a U.S. Supreme Court case, Edwards v. Aguillard (1987), the judges ruled that a Louisiana law requiring public school students to learn both evolution and Creationism side by side VIOLATED the Constitution’s prohibition on the “establishment of religion”. So, because Creation has to do with GOD, though a FACT, it cannot be taught to your children. An empty theory by an atheist is, on the other hand, PREFERRED by the Government to be taught to your children as “fact”. What GARBAGE! Evolution is A RELIGION. Evolution is the same as atheism because it seeks to replace what GOD says with what MAN thinks. Evolutionists, like the atheists, want you to believe that some kind of ancient slime morphed into the complex and directional life forms we see today. These ridiculous ideas and beliefs by atheists and evolutionists take far more blind faith to believe in than it does to believe in GOD as Creator. They will, and want YOU to, believe any and everything under the Sun so long as GOD is out of the picture. Pretty sad and meaningless lifestyle choice if you ask me. I thank God that I’ve been blessed with the wisdom to understand and know the TRUTH in this world, which is found ONLY in the Word of God, and never found in the vain, empty, biased, unGodly opinions of men. God can NEVER lie. Men can and do so easily. Thus, regardless of public or “scientific” opinion, we must ALWAYS believe God over MEN.